The new GDPR, which enters into force on May 25, 2018, gives data subjects extensive possibilities to exercise control over their personal data. This results in a variety of obligations for data controllers. In order to be able to pursue this in a compliant and controlled manner KINAMU has developed a tool which helps you process and document requests from data subjects which are stored in your CRM System. 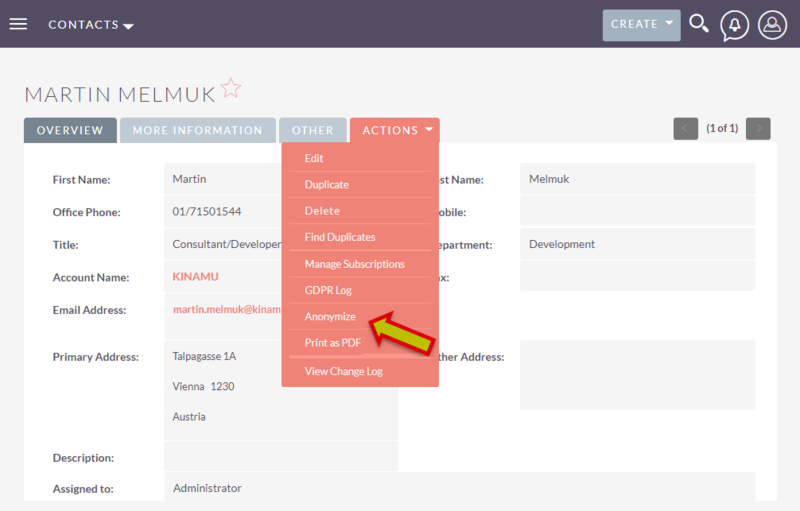 Note: The installation of the KINAMU GDPR module does not make you automatically GDPR compliant, as you have to demonstrably document your systems and processes with regard to personal data during implementation. We are happy to assist you in the implementation in a workshop. Although the CRM system can be used to support all GDPR activities, it is important to understand that a CRM system is just one of the IT systems that processes personal information. A data controller must ensure that privacy is applied to all IT systems through design and standard. This means that the data controller must take appropriate technical and organizational measures. These measures must be designed to ensure effective implementation of data protection principles and to integrate all necessary guarantees into the processing in order to comply with the requirements of the Data Protection Regulation and to protect the rights of data subjects. 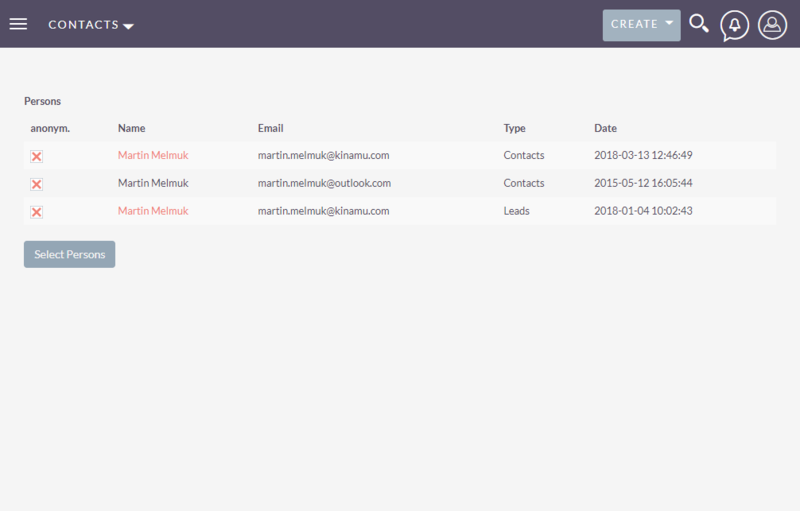 Marketing Automation Made Easy for SuiteCRM. Made for both marketing and sales. Made for SuiteCRM. Made for you. We help you do marketing automation the right way across all channels; email, website, chat, SMS, telephony, ads, blog posts, and more.